With the different formula brands that the market is offering nowadays, choosing one that is perfect for your baby can be difficult and confusing, especially if it’s your firstborn. Without the expertise of an experienced parent, the choices out there may cause your stress level to rise. Rooting for a trusted brand like Similac doesn’t mean it’s going to be easy. Well, you need to choose as well. Start by learning the difference between Similac Advance and Pro Advance as an example. You might find it surprising to know it may be what your infant needs! Similac is a popular, trusted brand of baby formulas worldwide. This brand has a selection of formulas each intended for infants with diverse conditions like feeding difficulty because of protein or lactose intolerance. #1 infant formula brand chosen by mothers. #1 infant formula brand fed in the hospitals. What is the difference between Similac Advance and Pro Advance? Is this your first time to choose a formula for your child? 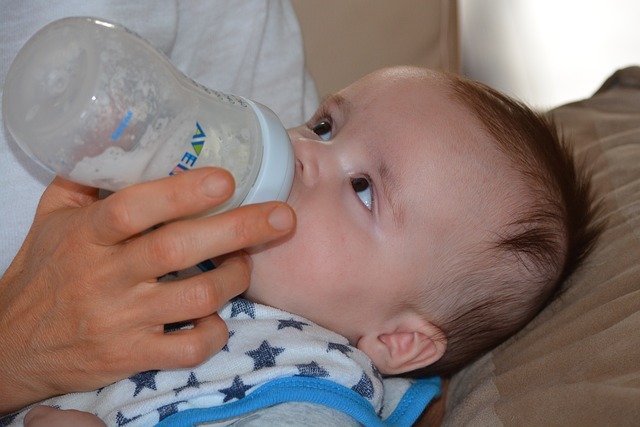 It’s essential to understand what your child needs when looking for the right baby’s milk. Knowing the ingredients of each baby formula before buying is vital. You would be able to learn the health benefits it can offer for your infant. Let’s find how Similac Advance and Pro Advance differ from each other. Similac Advance Non-GMO Infant formula provides complete nutrition for your little one. This milk-based formula is suited for newly born babies up to one year old. Take note that they do a careful selection of the milk’s ingredients (not genetically engineered) to meet their high production standards. Similac Advance features OptiGro, an exclusive blend of DHA, lutein, and vitamin E. It contains prebiotics and has high-level content of iron. You can find these special nutrients in a mother’s milk and plays a significant role in your baby’s development especially for the brain and the eyes. So, what’s different about Similac Pro-Advance? This infant formula also contains OptiGRO and is Non-GMO (GMO- Modified Genetic Organism). OptiGRO supports your newborn’s brain and eyes development. It also notes that the powder milk is rich in iron and is the best nutritional supplement for your baby’s first year. Do you know that Similac Pro-Advance is the first infant formula with 2’-FL (HMO-Human Milk Oligosaccharide)? The baby milk formula is the closest there is to a mother’s milk. HMO is an immune nourishing prebiotic just like what you found in breastmilk. Choosing this formula for your child’s milk may reduce conditions of fussiness, gassiness, crying, and spit-ups. Babies who switched to Similac Pro-Advance reduced their discomfort in just a day of usage. With lactose as the formula’s primary carbohydrate, it indeed is complete nutrition for your baby. TAKE NOTE: Similac Advance and Similac Pro-Advance are not suitable for a newborn who has galactosemia. Galactosemia is a genetic disorder that causes the body to have difficulty in absorbing sugar galactose properly. If you have this condition or some member of your family, I suggest bringing your baby for a check-up to know if she also has one. You can ask help from your pediatrician. Similac Advance and Similac Pro-Advance have characteristics and features that they share. These make both infant formula a complete nutritional supplement for newborns. What are the differences between Similac Advance and Similac Pro-Advance? Apparently, Similac Pro-Advance is an upgrade of Similac Advance. Similac Pro-Advance has all the features that Similac Advance can offer. The only significant difference is that Similac Pro-Advance contains 2’-FL HMO that makes it the closest baby formula to a mother’s milk. Similac Advance, on the other hand, doesn’t have. In the end, you will always pick the formula that answers your baby’s needs. Now that you know the difference between Similac Advance and Pro-Advance, I’m sure that you have already decided what to pick. The decision is all yours to give. If you want a formula that’s almost all similar to breast milk, then I recommend Similac Pro-Advance. Otherwise, any of the two are excellent for your child’s nourishment.